Very Elegant Very Spanish with degustation lunch and Tapas and Spanish Wine Dinners! The Boss of Bosco is a sweetheart named Carlos who smiles and has good humor at all times, his partner is Joan Bernat. "You know when we started the restaurant the interior designer had a cute little dog and one night as we tried to decide the name, the interior designer yells, Here Bosco here Bosco Here Bosco and the dog comes running to him. I said, hey let's name the restaurant Bosco and people can come running here!" I thought that a very good natured name and here is Bosco! "We have the best of all worlds here at Bosco, since we are right on the Mediterranean. The octopus and the tuna is a little higher priced, except when it is included in the degustation lunch menu, since it is rare these days to find high quality fresh of both. They have been fished too much. I insist on the freshest and highest of quality and when I see many people at my restaurant at lunch, with 48 people outside and 48 people inside, it makes me happy. The local people come here everyday during the week since I have a new lunch everyday, whether they want salads or meat or fish, they have the freshest prepared that day. Now, of course my hope is for the guests to come at night, share a couple of tapas at the table and a nice bottle of Spanish wine." Tapas, Tapas and Tapas and Spanish Wine! "At lunch we have a tiny degustation menu of only 12euros. Yes, I know that is very reasonable, yet we hope to have the guests who love the lunch come to dinner and eat the tapas!" laughs Carlos. The scrambled eggs, of which is of course presented originalls, the odd caprice, the select cuts of beef, the calamari, or a typical plate of Valencia, Fideua, you can find authentic Spanish tapas and plates here at the VERY ELEGANT AND SOPHISTICATED Bosco. 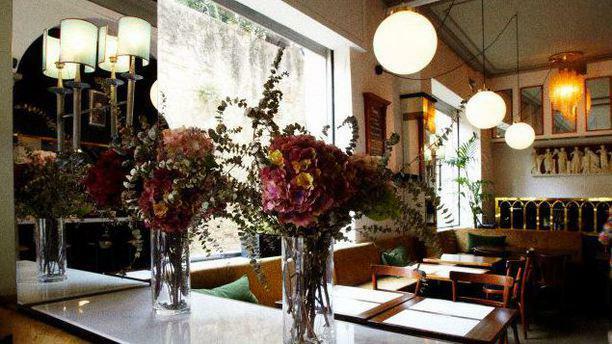 "Yes, my restaurant is elegant and has a lovely atmosphere and when I decided the menu, with my chef of 3 years, who is a woman by the way, we sat everyday and talked about the presentation. I wanted a restaurant that is beautiful and one where you have a fine experience dining, yet reasonable for the locals to come and experience Barcelona and Spanish cooking. If the locals love it, the Tourists should love it, " says Carlos. has partnered with the sponsor bulthaup, one of the finest and most prestigious kitchen workshops in the world. The team is funny and talented, with the three chefs as the owners. "My sister likes to give the wine to the guests more than cook these days, yet we have me and Toni who cook still and give the classes and the market tours to select the items we use and a great team of chefs. Yes it is fun and since we are chefs ourselves we are totally involved in every aspect of the cooking school. 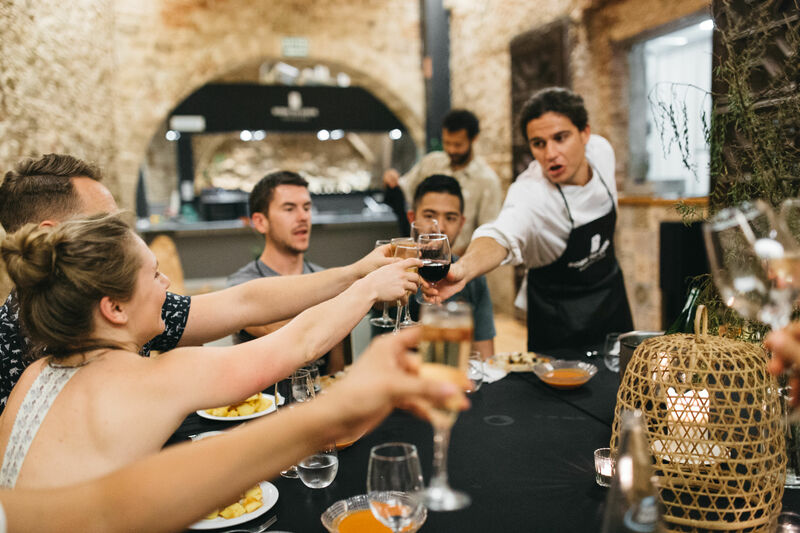 We originally started it to give tourists a taste of the culture of Barcelona, yet the corporate giants wanted to have their teams learn to cook and now we have big events where it is a corporate team learning how to cook and the international tourists. It is fun both. We had to have a new lab to house all the curious guests and that is where we partnered with Bulthaup which allows us to use the talents of our Japanese chef, our Italian chef, our International Chefs and have a little variety in addition to the Paella, Gazpacho, Tapas, Safari Tour of Barcelona and the Market taste and tour and cooking classes,"says a very happy and energetic Alex who is hosting a fun Japanese tartar class with cucumbers and spices today! I had the pleasure of interviewing Alex Toni and Marta today at the very cool and hands on state of the art cooking labs in Barcelona. 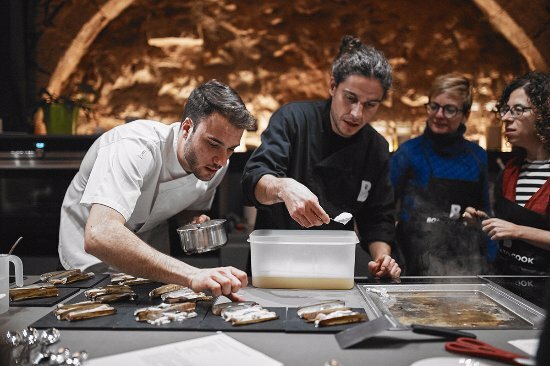 One is located at C/Mirallers, 9 Barcelona and right straight around the corner Bulthaup and Born to Cook teamed up to the Blab where they have just started collaborating on new cooking classes. "We have a great time, yet it is a learning experience and the classes last a little long if the people are really into it and ask tons of questions. Everybody learns to cook. It isn't a watching class, it is a hands on cooking class and a very social event each and every class. It is fun for small groups and for couples and friends and especially solo people since they meet tons of other solo travelers and they can make lifetime friends and have a companion to chat with in a foreign city. Perhaps they go to dinner the next day. Cooking classes are great things to do to bring back the experience to your home wants your vacation is over or to just make friends and your experience in that city a little more enjoyable." in the fresh products that we teach the students to cook with, Boqueria & Santa Caterina Market,"
here you taste the fresh vegetables and the fresh fish and meat of the markets in addition to olive oils and spices. It is a great experience that both the students and the vendors love." The restaurant named Little Italy in Barcelona's El Born section is exquisite. Elegant and artsy with the local artist's paintings hanging on the walls, yet the most sophisticated item is the food, which is totally Neapolitan. The wine is Italian and from Naples, the chef is from Naples, the pizza is from Naples and the cuisine is Neapolitan." laughs Antonio who, with the help of his translator tells me his story! "I bought the restaurant, Little Italy one year now, and transformed into a Naple's Italian kitchen. It is important to me and my mother as we come from that region of Italy and it has it's own unique style." 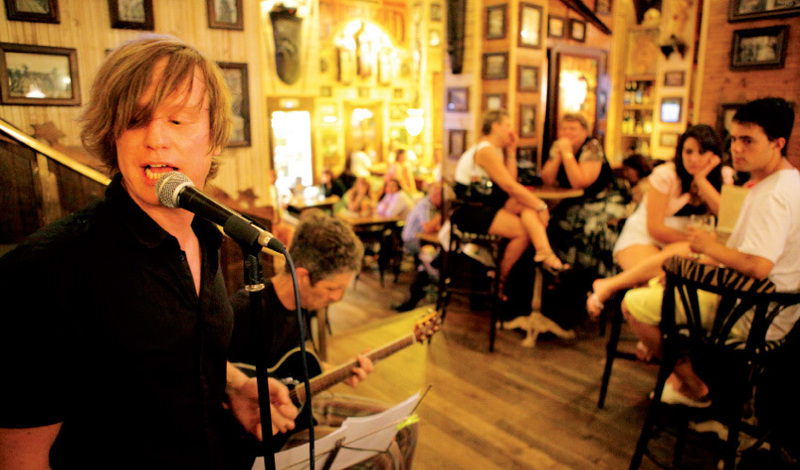 "We have live jazz, too, on Wednesdays, Thursdays and Sundays. That is something that I love and the guests enjoy in the elegant dining. You are welcome to come to try the Naple's food and listen to jazz tonight," invites Antonio and of course I shall come! Anna Luna Bossa Jazz Trio, Go Sans Rock Swings, and Mike Roldan Swing Trio! I believe the most difficult thing to do at the Little Italy Restaurant in Barcelona is decide what to eat! Hmm should I try the classic Neapolitan pizza with the spicy salami, the cuttlefish on fettucini with pumpkin sauce or Wok of squid, shrimps and vegetables in red sauce with sesame! Okay where can I find that lovely restaurant to enjoy a romantic intimate dinner tonight with my friends and significant others? "I am from Naples," says the funny and cute capo named Antonio of Little Italy in Barcelona, who along with his gorgeous mom, Patricia, have charmed the locals and tourists with the one and only totally Napolean restaurant in the city. "The specialty is the Napolean pizza, and we have devoted an entire menu to it, yet we have Naple's regional cooking,too, with the fish fresh from the Mediterranean, yet the other products, including the beef we import from Naples." Please say hi to Frederick his team at the totally cool music and Vermouth bar in the El Born section of Barcelona, slowly becoming my favorite section, by the way, with its quirky one of a kind bars and restaurants and fun things to do, right near the beach and the park! Ps they love to have fun and drink and I love to drink BOND MARTINIS! The elegance and comfiness of the Puglia based Italian kitchen named Gravin in the El Born section of Barcelona is a must on your visit to the city. Yes of course you want to eat Spanish tapas and drink Sangria and Tequila, yet after a couple of days of that sitting in a elegant Italian southern restaurant where you are transported to that Italian affection and conversation and taste the imported mushrooms and cheeses of the Puglia region is nice too! The Team of Gravin and The Capo, Giovanni! "I wanted to introduce my culture from Puglia to the Barcelonian people, who I enjoy immensely. Barcelona has it all, the sea, the mountains, and the neighborhood of El Born is amazing. Everybody knows each other and they support each other. I have had the restaurant Gravin 14 years now and I have made many friends. I feel comfortable here. The Gravin restaurant is named after a little village that I come from that is about 60 kilometers from the seaside. It reminds me of my village, hence the name, yet the village is actually Gravina. I use the local wine of Puglia, which I import, and the flour for the dough. And every pasta used is handmade. I should say eaten!" he laughs. "It is about the home feeling that I want my guests to enjoy, and thankyou for saying my restaurant is beautiful. It is actually a real Trattoria, what we call the Italian restaurant." "Of course the culture of the region of Bari, Italy is about the sea, the adriatic sea, the mediterranean sea and we are used to cooking with fish, yet here the fish is different and I only use the meat, the fish and the local 0 kilometers producers of fruits and vegetables at my restaurant. I try to adhere to the slow food philosophy, yet at the same time I insist on the local regional recipes of Puglia and I do import the mushrooms and cheese from that region if the recipe calls for it," says the gentle and kind Capo, Giovanni, of Gravin. "We here at the Gravin are very proud of the land and the Italian products and happy to give foreigners a chance to experince a different region of Italian cooking not typically found outside of Puglia." For reservations please visit the site: www.gravinristorante.com, and the location of the restaurant in the Born section of Barcelona is at CL Rera Palau 3. The restaurant is a very elegant and intimate Italian style inside with fine dining place settings and a outside terrace. A lovely Capo who is very happy to talk to you about his homeland of Italy and the Puglia region where he grew up. It is a chance to experience a italian kitchen that is rarely found in other countries and I am very pleased that the native Italians decided to land in Barcelona! 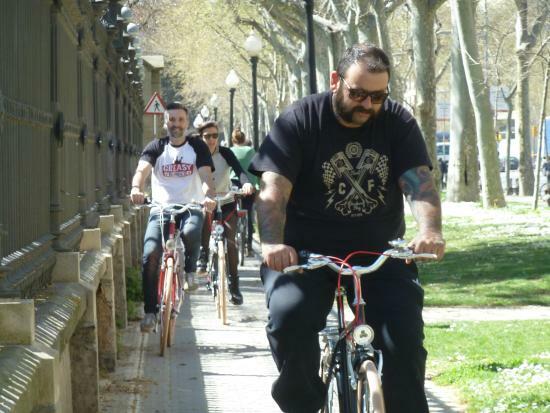 "Biking is still the most popular sport around the world, and Barcelona is a very friendly biking city with designated bike paths. You can have the vintage bikes for 24 hrs. and it is only 15Euros. The Vespas are only 39Euros for 24 hrs. That is real sweet since you can have the best time during the day and maybe go out for a wild tapa night of trying tapas around the city on the Vespas. You can try the tapas on the bikes too and drink a couple of Canas!" says Diego, who is real nice and fun and you will love meeting him. "Maybe next year I can think about a wine and tapa tour at night, that is something that I would love to do for a couple of hrs. Now you can come at 10.00am to 8.00pm and have a great time." Diego, a native Argentinian who has been in Barcelona 17 years now says, "I came to the city on vacation and I loved it too much! I met a girl who was Catalonian and we married and I learned to speak three languages, including English which I do badly!" although honestly his English is pretty darn good. 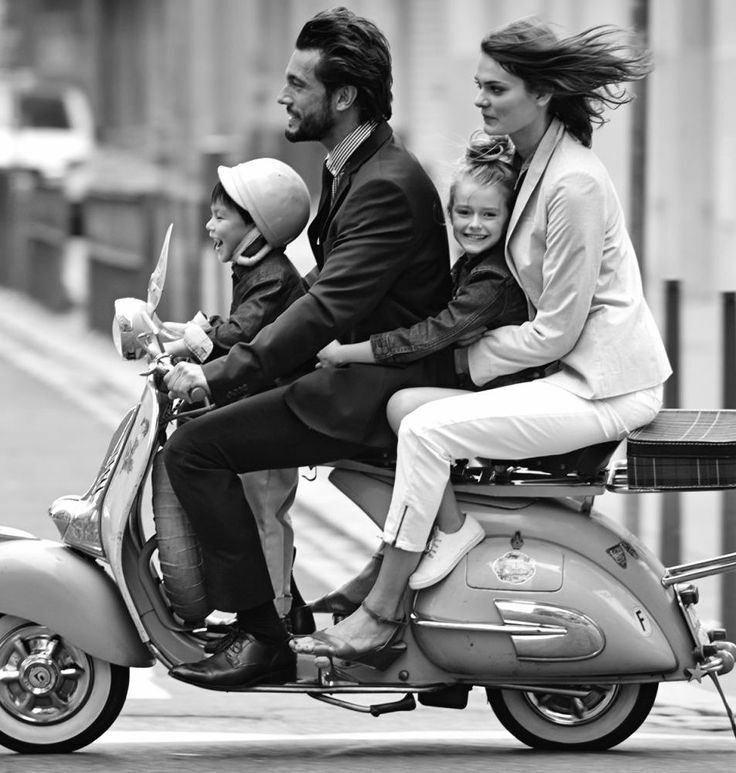 "Now the last 3 years I wanted to do the Bike and Vespa store since it is the funnest way to zoom around Barcelona. If you have a international driver's license that is important." he says to make sure I tell you that! "For Europeans they can use the driver's license they already have, yet for internationals such as Australian or American or Canadian or South American, you must have the international driver's license or go to your embassy here and buy a official translate license that allows you to drive. Bikes of course you can ride without a license." Diego reminds all the tourists who are reading my site! totally nice, you should love him. "When I chose my colors I wanted people to associate the Vespa with the experience of fun around the city, not just transportation. It is about the adventure and having something cool to talk about when you come home from the Vacation. A group of girls come here and they're all dressed in fashion and they want to take photos for Instragram and they ride around the city in all the different colors. It is a great way to meet people to and give rides!" See in the old days it was walking a dog and now it is riding a Vespa...the new way to pick someone up! Folks, you gotta take two Vespas! Outdoor tables, where the local Barcelona children play under your feet chasing the ever present Soccer ball that Messe has made world famous as the star of the FC Barcelona Team, real heavy whiskey drinks and artsy grunge and wooden benches and tables inside and you have a local bar hangout where you can party to your heart's content and then come back in the morning to have a little coffee to start all over again! The food the local Barcelona tapas and salads and real great Nachos with great Spanish guacomole, the real kind that you keep eating and eating! The drinks don't have umbrellas here! On the weekends a DJ...yet every night bring your group of friends only and come to drink a great Vermouth which of course I drank! HAVE FUN. 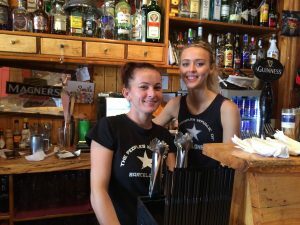 What I really loved about the Fastnet Irish Pub is the bartenders, first, who spoke English, were super sweet and nice to me, and the owners, Shane and Marijana, who along with one of their 4 children, Shane Jr., were eating at the tables. It is always a good sign when the owners are happy being at their pub, restaurant, skydiving adventures, bicycle stores, etc. If they are never there I am a little wary, however these charming people have fun and chat with you. They are real nice people who love their family, love the Irish Pub Fastnet, love Barcelona and love tourists. They say they have the most fun when it is full of locals and tourists and everybody is talking to each other and watching one of the England Football games or International Rugby Matches on the Televisions. "The Rugby players and people are the nicest people you will ever meet," says Marijana when I say I thought the Rugby people were "tough". "On the television yes, in life they're super sweet." she says. the limes, carders 31, cool 100 + flavored Gins...gotta try em all! Talked to "Matt" who is one of 3 bosses of the cool swanky bars in Barcelona named Rubi, The Lime, and The Mint, respectively. All the designs are done by Matt who says he loves the color red and loves to work with the wood carvings to make the exotic interiors that the three have become famous for. "You know now the Rubi has about 20 different Gins and the Lime about 100. Here at the newest addition, the Mint, we're still working on the decor and the vibe. Since I do all the designs I have a great insect drawing that I am working on for the upstairs bar, and the rest have that red light glow behind the wood carvings. You know it is a bar. People drink and the only thing unbreakable is wood so that is what I had to do my designs with. And since we were three working guys you know we did all the interiors ourselves. We made the bars, the tables, the seats, the designs of the Gin Bottles, etc. I am very happy that people walk by and stop and say wow that is a cool bar. Or they come inside and start taking pictures and have a great time here. That is what it is all about. Having fun with your friends and listening to some great music and trying our gins." "And if anybody has a suggestion for a new gin, we can try it...the first gin started with the people coming in asking for the cucumber added to the Hendricks in huge drinking glasses, which aren't typically gin glasses, and it sort of evolved over the years. I hope you love it." he says. "The Rubi is the first of our adventures and we started it with the three of us from day one. At first it took awhile for people to know about us, yet it started becoming popular, I would say during the first year. We had gin, of course and since two of us are from England, we were into the Hendricks Gin, which is a very good gin. Some chaps would come in the first 6 months and start asking for crazy Gin combinations and we would say Okay, we can do that. We had a cucumber on the side of the gin phase going on for the 6 months and others would ask for different fruits in the Gin. There is three of us, me, Alejandro and Con. One of the partners, Con, said he wanted to try to make flavored gin. We said alright go for it. The first one I think was like Lemon Grass Black Pepper, something like that and everybody loved it. So we said alright let's try some more. When we opened the Lime Bar we made Gin the specialty there with about 100 flavors to try. Actually all of the bars are Gin Specialty bars know with our own flavored Gins. You have exotic Balsamic Vinegar Gin to Chocolate Gin. Some take days to make with the right flavor and some are easy such as the Chocolate. It just depends." says Matt. "Everybody loves Mojitos and Gin, right? And of course limes go great with Gins, so hence the name The Lime, yet the Mint is the same with the Mint Mojitos and when we opened here people would say, O did you name the bar from across the street the Mint Building, where they used to make money, and we said no we didn't do that, yet it was named the Mint so people think that. Actually it is named Mint because of the love of Mojitos though!" laughs Matt when he says of the coincidence of the famous historical city. The Mint is actually located near the harbor in prime real estate! "Yes that is lucky for us since people already know about the other two bars and we say you should try the third one, and we have much more tourist walkbys here so I hope that helps people find us and try us out. It is about good music, good friends and ultimately, trying our Gins!"